Whether you're fasting for religious or health reasons, you may worry about meeting your vitamin needs. Adding a supplement may help ease your mind, but you may find it harder to tolerate on an empty stomach. 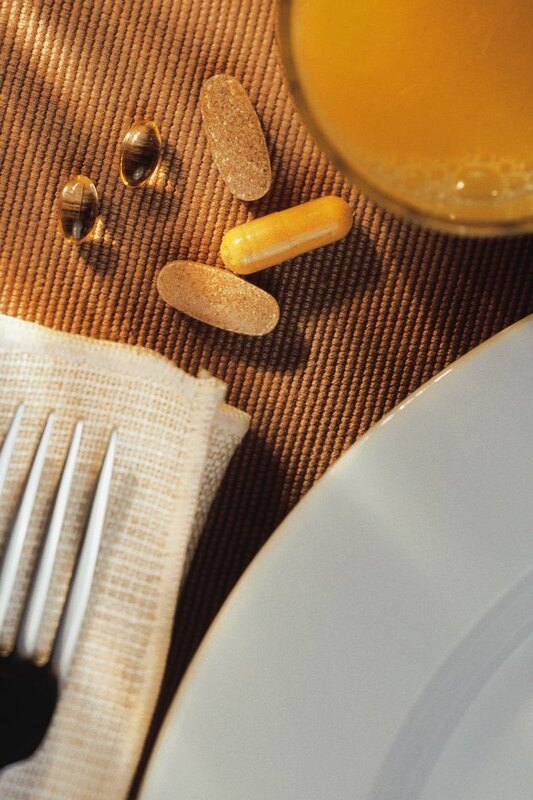 Taking your vitamin at certain times may help improve tolerance. Consult your doctor before fasting or adding a vitamin to your daily routine. While it's important to take your vitamin as recommended by the manufacturer, you may want to talk to your doctor about taking your vitamin at a different time if you're fasting and experiencing abdominal discomfort after you take it. Taking your vitamin before bed, for example, may make it easier for you to tolerate the supplement if you're sleeping through the discomfort. However, it may also affect your sleep if the discomfort is so bad that it wakes you. All fasts are different. If you're fasting for religious reasons, there may be times when you're allowed to eat solid food. For example, during Ramadan you fast for 12 hours, then you feast. Taking your vitamin during the feast part of your fast may work better for you. If you're following a juice fast, you may find it easier to tolerate if you take it with one of your juices. Or, if the discomfort is unbearable, you may want to skip your multivitamin altogether while fasting. According to a 2008 article published in Today's Dietitian, long-term fasting can lead to electrolyte abnormalities and heart failure. Fasting may also cause diarrhea. To prevent any discomfort when coming off your fast, reintroduce solid food slowly.